A Day Late and A Dollar Short: Snapfish - Calendars up to 65% Off! 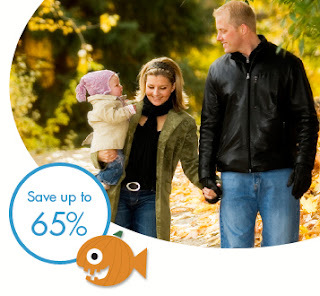 Snapfish - Calendars up to 65% Off! 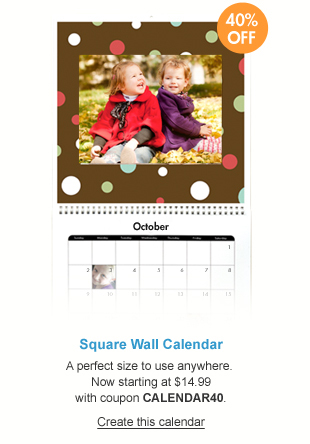 Want to make a calendar for Christmas presents this year? Here's a great deal from Snapfish - save up to 65% on custom calendars (11" x 16" designer) and 40% on all others. 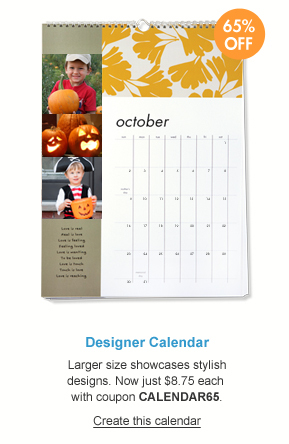 Just use code CALENDAR65 (11" x 16") or CALENDAR40 when checking out. Visit the Snapfish website to get started.